In this interdisciplinary day, discover the science, history, and art of germs as you explore New York’s long battle against infectious disease in this interactive day filled with tours, workshops on project-based learning, and an introduction to NYC History Day. 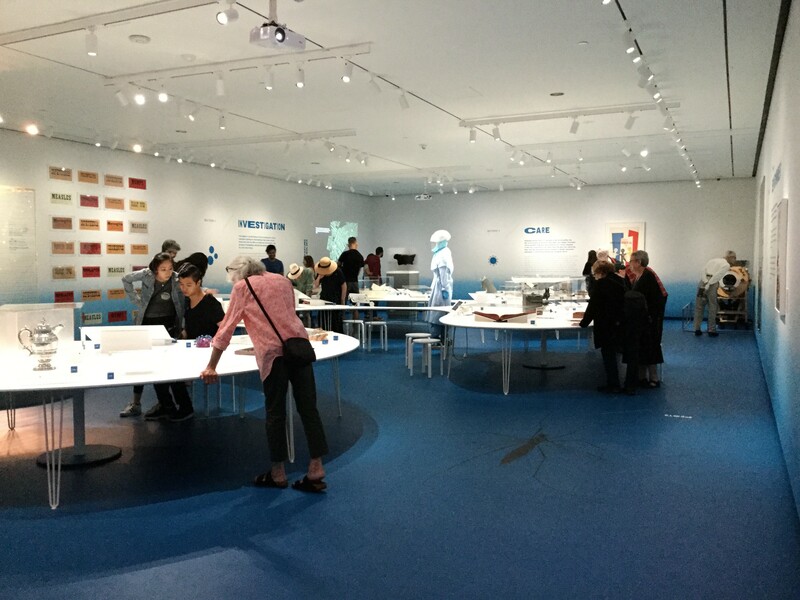 Explore the groundbreaking exhibition Germ City: Microbes and the Metropolis and hear from curator Dr. Rebecca Jacobs, Andrew W. Mellon Foundation Postdoctoral Fellow. From cholera and tuberculosis to influenza and HIV, use primary sources to uncover the complex story of New York’s long battle against infectious disease—a fight involving government, urban planners, medical professionals, businesses, and activists—and discuss its implications today while learning how our understanding of disease has changed us physically, socially, and culturally. The Museum is CTLE certified. Participation in this program provides 5 hours of CTLE credit. For questions, to register multiple educators, or to request an invoice, please call us at 917.492.3387 or email pd@mcny.org. This program is now sold out. Please join the waitlist to be notified if space becomes available. Supported by Wellcome as part of Contagious Cities. Germ City is made possible in part by Valerie and John W. Rowe, and the Anna-Maria and Stephen Kellen Foundation. This exhibition is organized by the Museum of the City of New York in collaboration with The New York Academy of Medicine and the Wellcome Trust. It is part of Wellcome’s international project Contagious Cities, which explores the interplay of people and pathogens in urban contexts. New York City History Day is made possible by Elizabeth K. Belfer; Budd and Jane Goldman Fund, The New York Community Trust; Susan and Roy A. Glaser; and Kathleen Benson Haskins. The Museum is grateful to The Andrew W. Mellon Foundation, which supports Postdoctoral and Predoctoral Fellowship Programs in Public History.